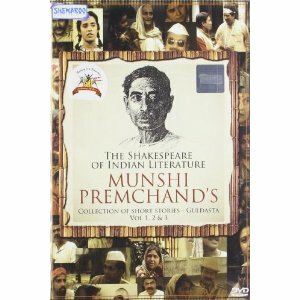 Munshi Premchand is known as the Shakespeare of Hindi literature. Those who like Hindi literature and fond of good stories, need to that Introduction also. He is a very popular figure in the reader circle. His stories were mostly focused on the social setup of his time and authentically explored the real life of real people via real situations. Probably that made him more loved and trusted author of his time then his contemporaries. You may often find some sad situations in his work and may find it quite pessimistic. But if you look at the content with open mind, you feel that it is the representation of facts only. All his stories may not show a solution to the social problem but it surely represent the problem properly. And just showing a solution to the problem may not work every time. People usually know what he/she is doing, even when they do wrong. So if their eyes are opened and if he started thinking about the suffering of others, he will control his act. And, probably that is the best way to solve a problem. Before many years, a TV Serial named Guldasta was aired on DoorDarshan – the national TeleVision network in India. It was based on the works of Munshiji. The serial was acclaimed for its content. We are fortunate that the TV Serial is now available as a set of 3 DVDs and available at almost all famous E-Stores. Here are the quick purchase links for the same. The DVD pack we have received (via Amazon) is nicely packed. We saw a very thoughtful way of packing here. There was a plain white paper at the below surface of the DVD. It prevents is to get scratches during packing or shipping. We have noticed that the English transliteration of the most of the stuff (mainly episode title) is wrong and not correct phonetically. In the list above we retained episode titles as it is shown on screen. The above list of episodes will be updated with details and links to the dedicated episode review article over the period of time. 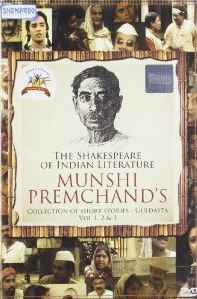 Are you fond of Munshi Premchand’s literary works? Which one is your favorite story written by him? Did you watch the TV Serial? Did you like it? Do share your thoughts via comments below. And yes, if you find this article interesting, do share it via Facebook, Twitter, Google Plus, Pinterest and other social networks.